Borderline Personality Disorder (BPD) is a clinical diagnosis that is often misunderstood. The experience associated with BPD involves intense emotional and behavioral challenges for both the individual and their relationships with the people around them. 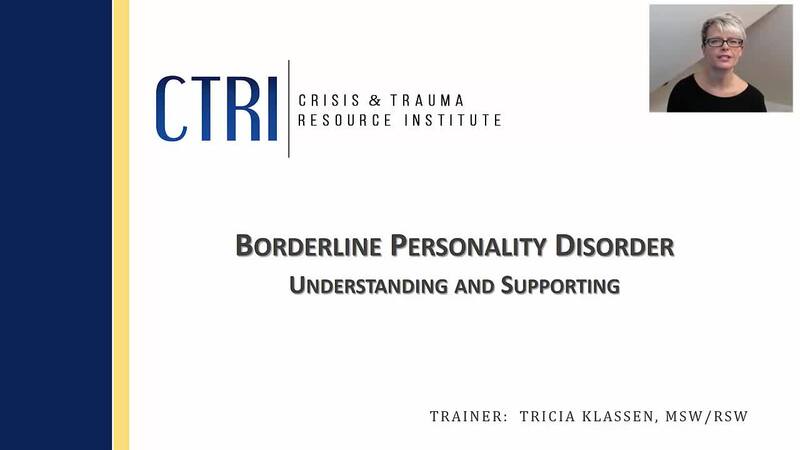 This webinar’s purpose is to increase the understanding of BPD from the perspective of all those impacted, including caregivers, family members, and those diagnosed. Viewers will be better equipped in their role of supporting meaningful and manageable change in the lives of those impacted by BPD. SKU: 111. Category: CTRI Webinars.